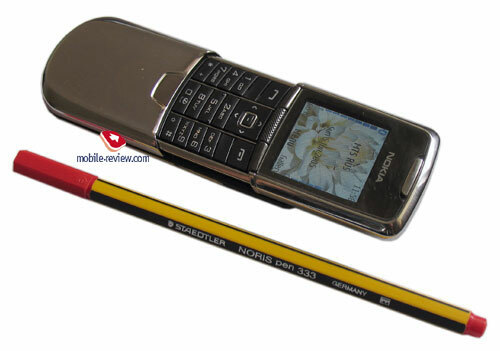 The prehistory of the Nokia 8800's appearance and the tasks the developers and designers implemented are described in a separate material. We won't tell about them in details now, since the material is available to read>>>. The premium segment always lacked the offer from the main manufacturers, since that is not enough just to announce the device as status; it has to prove this name. Due to that plenty of status devices by unknown manufacturers using technological materials were unnoticed practically and the last example is Mobiado Professional. 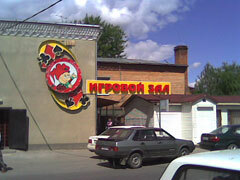 In the absence of a famous brand the device is taken not as a premium solution. 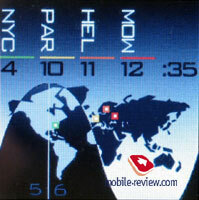 Nokia tried to provide unique offers to its users in this segment and keep the price high as long as possible. That is the main Nokia's difference from other manufacturers, a product that may be compared to other devices in functions is launched, but still it has unique features and design. That is how long life and slow price decrease is achieved. This practice was possible till today, since no manufacturer tried acting in this niche, but the market strategy changes and the Nokia 8800 won't be the only product of the class. However at least for 7-8 months the device will dominate in its segment, which will allow fixing its price automatically. That makes the Nokia 8800 interesting for many users, since the phone status will remain the same more than for a year, and price decrease won't touch it unlike the majority of the devices. 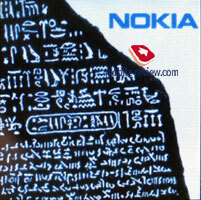 Besides the price questions technical solutions of the Nokia 8800 are of interest today. 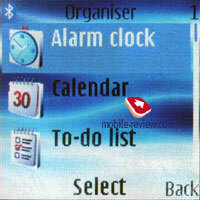 The device is designed as a popular today slider, Nokia lacked such devices till recently. 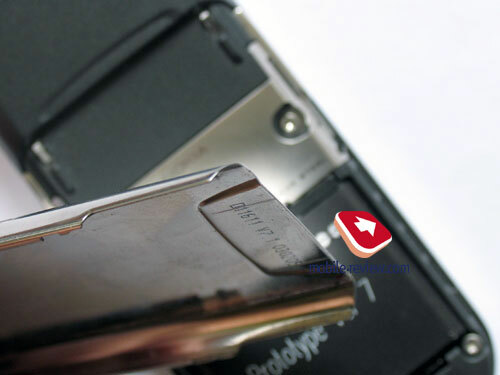 The Nokia 8910 may be considered the maximum close to smartphones, but here another mechanism pulling the functional part up from the external one is applied. No significant parts of the device were gathered in the bottom end. 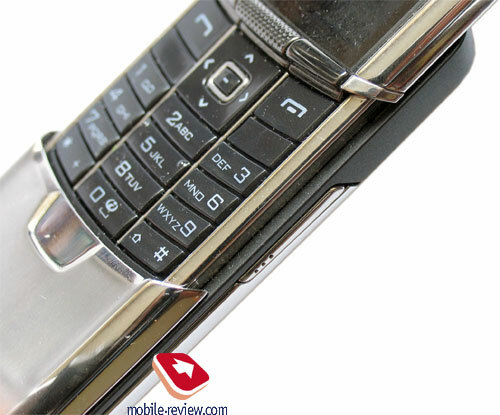 The Nokia 8800 is unique for almost all the body except for the top of the back panel is made of stainless steel. 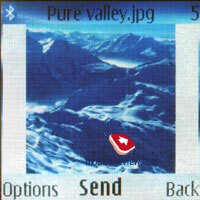 A corresponding note may be seen under the back cover near the SIM-connector. The metal is not claimed nominally, there is really much of it. Particularly, you can take the back cover and look at its thickness, it is about 0.5 mm, in other models the thickness of twice less. This lavish use of the metal gives the impression of reliability; the device lies well in a hand and is felt as a pleasant heaviness. The feeling is even nicer considering polished surface. 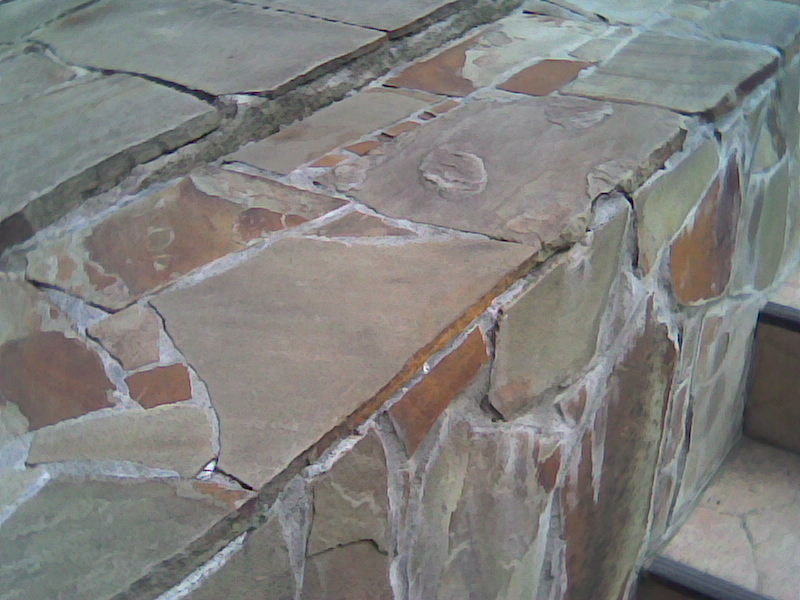 The surface is easily soiled and fingerprints stay on it. 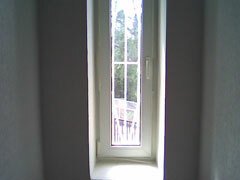 And if they are not much noticeable or at least are taken normally on the metal, then on the glass they are well seen. Some will take fingerprints on the phone as a catastrophe and one won't pay any attention on the contrary. 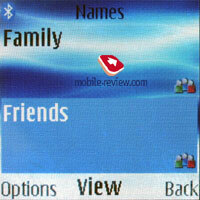 It all depends on your perception; fingerprints on the Nokia 8800 do not make a disadvantage, which is the minus of all the polished surfaces. The weight of the device follows from the materials used and forms 134 grams. Considering the size of 107x45x16.5 mm the device is felt heavier and looks more aerial. I'd like to stress men are the main audience (up to 80 percent of sales). 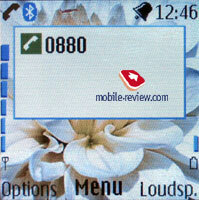 Women can use the phone but considering the Nokia 8850, 8910 sales, there are few of them. The question concerns not the weight of the device or its design; it refers to the primordial positioning of such products by the manufacturer. Have a look on the original photos life style by Nokia, they tell how the manufacturer sees the Nokia 8800 customer (a successful manager, own chauffeur and a limousine, women only shade the Nokia 8800 owner in). 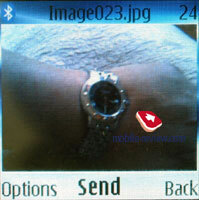 The protective glass is tempered similarly to some medium segment watches with sapphire glass applied. According to the manufacturer sapphire glass protects the screen from scratches perfectly (much better than in usual devices). 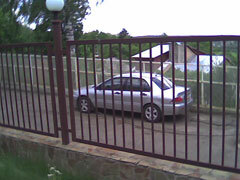 First this protection is mainly achieved by a well-taken construction. 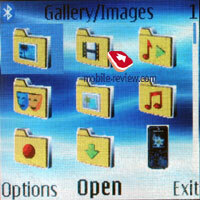 The loudspeaker gap is lifted up from the surface as well as the rest serving for opening the device. If placing the phone with its screen down it will lie on these two points and scratching it seems practically impossible. For the clear experiment the screen was scratched with various objects, and the most scarring trial used metallic keys. The device was put into a packet with 7 keys and a metallic trinket; all these things were put into the washing machine. A minute after the packet was taken out. 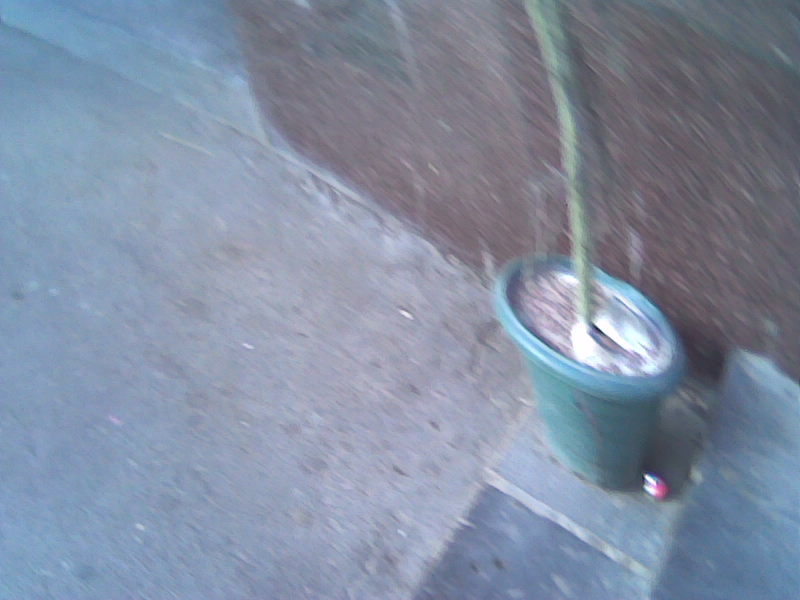 There was no scratch as such, two small ones appeared during the experiment are not counted. They are extremely hard to notice. However the polished parts of the device show some not deep scratches. The advantage is the scratches are seen only when peered at attentively, otherwise they are unnoticeable. So, let's think the device passed the test successfully. There is a metallic rest under the screen resembling a loudspeaker gap scrolled in a tube (such nets are present in many household devices as decor elements). A finger is easy to rest on it, though those ones having big arms will have problems with the dirt on the screen around the rest. The device comes equipped with an automatic finishing mechanism, thus no special efforts are necessary to open and to close the phone. The motion is smooth and pleasant. 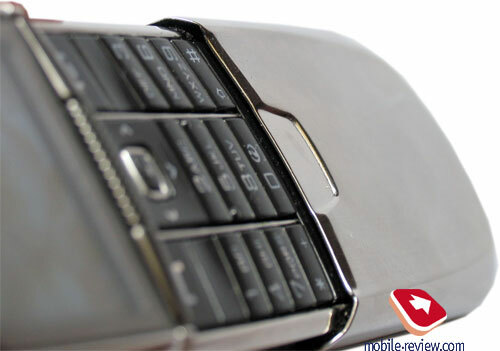 Phone edges are rather sharp, which may cause finger damage when opening carelessly especially for the first time. The problem is even not more in the sharp edges but in the closing speed, the parts slide so fast that one may pinch his finger or check if closing with his face. 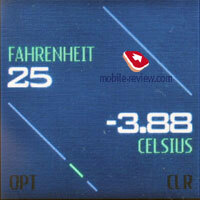 The described problem is temporary, the majority of Nokia 8800 users get used to how to close their phone, and this traumatism finishes. 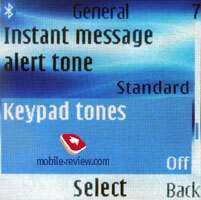 The keypad is the most arguable part of the device from the ergonomic point of view. The keys are of plastic, placed close to each other and are small in size. 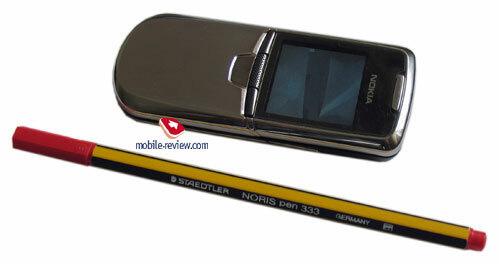 Even people with small hands and fingers find it uncomfortable to work with the Nokia 8800. Unfortunately, placing a full-size keypad in such a body was impossible. Another aggravating factor is the bottom key row joins the slider edge too closely, which causes extra problems when pressing. The OK button is miniature and hard to work with. One more disadvantage is the soft-keys are placed on both sides of the rest and are on the level different form the whole keypad. Considering the soft-keys are used in all the actions with the device your will have to move your fingers from one level to another permanently, at the same time the distance is minimal, which causes even higher fatigability. The backlighting is white and well seen in all the conditions. Localized versions will provide no Latin characters on the keys besides the local one; since there is no room for two character rows (two rows would be practically unreadable and will cross all the value of the approach). 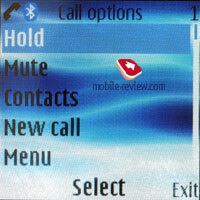 Speaking on the phone is possible in a closed mode; you can accept a cal or switch off the sound. 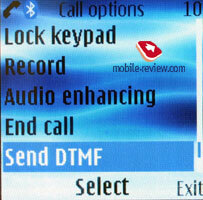 Repeated pressing of the soft-key cancels a call, thus making it in one touch is impossible. 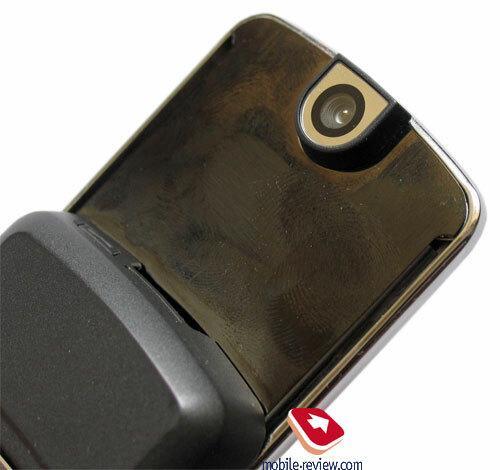 A closed Nokia 8800 is a thing in itself; nothing can be done with the phone, only changing the profiles with an On/Off button on the top of the device. 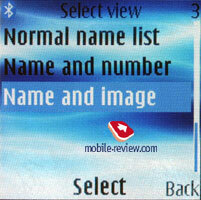 Successive pressures of the button scroll the list and holding it for long allows selecting a profile. 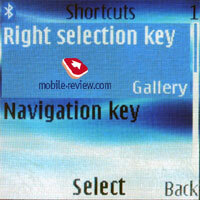 It's quite a riddle for us why a question if locking the keypad is necessary appears when closing the device. It is on by default. An attempt to leave the keypad unlocked gives no practical effect, since neither viewing SMS nor dialing a number is possible. The absence of a side volume button is a serious minus. 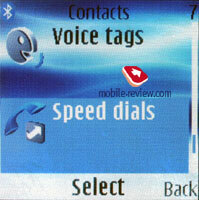 The volume is adjusted with a navi button during the conversation, thus you have to take the device out of your ear. Considering the company hasn't realized the technology for tuning the volume depending on the surrounding noise, which may be considered an omission. 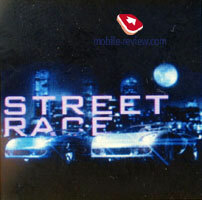 Thus the max volume is too much in a quiet room but still is quite comfortable in the street. It's curious the device provides tuning a loudspeaker for the signal conditions, which is some kind of an equalizer improving the speech quality (hiding noises, croaking) in problematic zones. 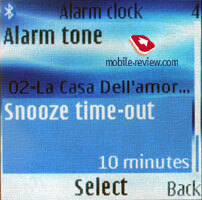 A similar technology by Samsung called Voice Clarity is applied in the majority of the today devices. 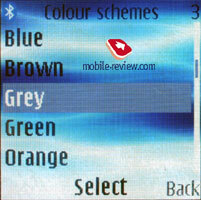 The screen is similar to the Nokia 6230i. 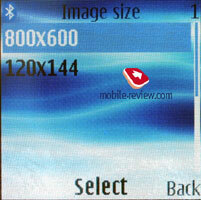 That is a 208x208 pixels TFT matrix with a physical resolution of 31x31 mm, 262K. The small screen size makes the picture very smooth and pleasant. 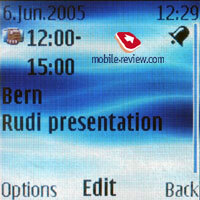 The screen is perfect for a product with such dimensions and has no copies in this segment. By the way, the screen size didn't allow making the keypad more comfortable. 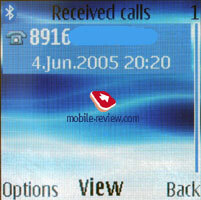 Up to 5 text and 2 service lines are shown on the screen. You can change the font-size, and the number of shown lines decreases to 4 with the biggest font-size, the font readability rises insignificantly, the smallest font allows up to 6 lines. The screen is readable in the sun, though thin fonts are almost invisible. 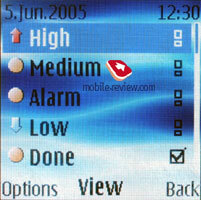 The change of the font-size (its decrease) became a necessity due to the high resolution. 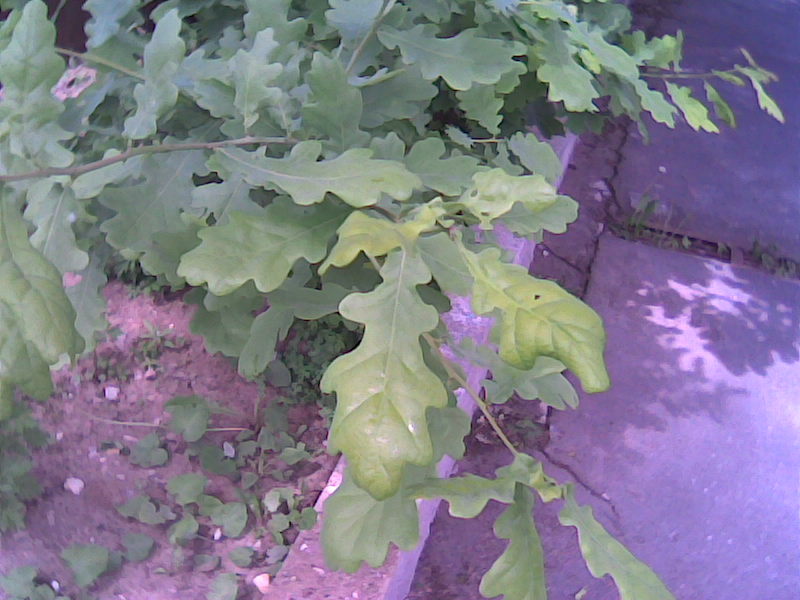 The quality of the photos taken with an integrated camera is not bad mainly due to the screen characteristics, though the colours are pale, especially as compared with the preinstalled graphics. 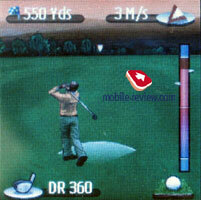 A camera is placed on the back of the slider, it has an intermediate resolution between VGA and a megapixel SXGA one. 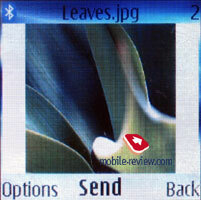 This strange resolution may be explained with the fact, the megapixel module doesn't fit the Nokia 880's construction now (and what did you think the "i" version will be equipped with? 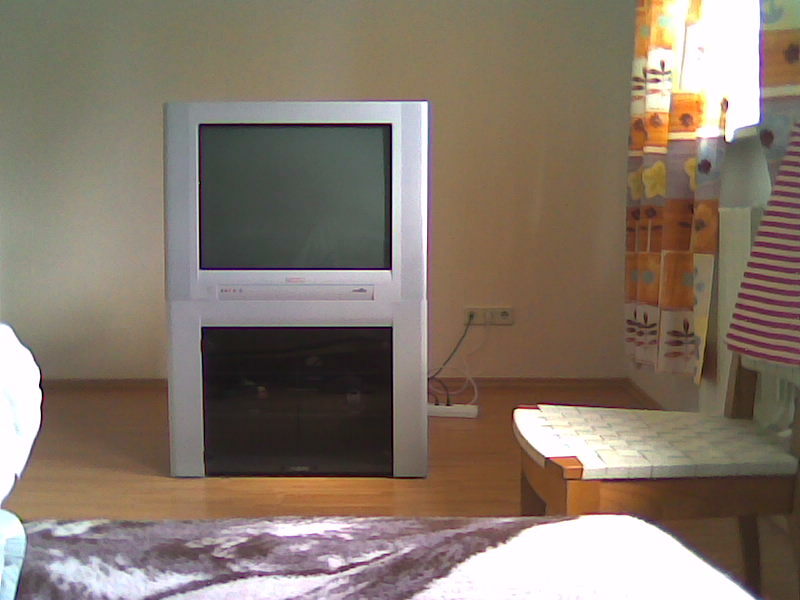 ), though the presence of a VGA-camera is not as up-to-date for a top model. 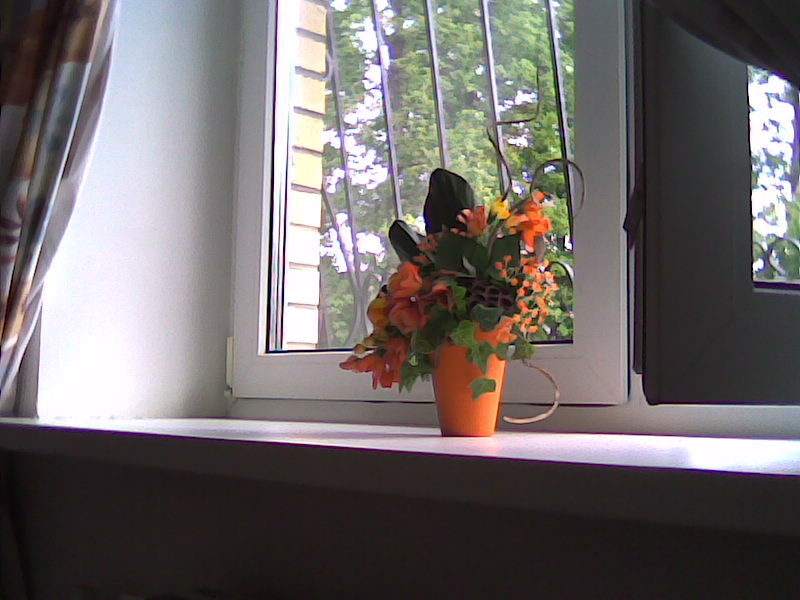 Thus an intermediate solution fully right from the marketing point of view was chosen (not VGA, and also that is a half megapixel). The back cover is fixed with two catches. Just pull the cover following the catches, and it will move along the guiding rails. However the catches are not very tough, press on the middle of the cover and pull with you finger, it will also open. That doesn't mean the device is too easy to open, the cover will be thrown only at the fall. On the other hand a user will find no trouble opening the phone. There is no backlash as well as any presuppositions for them to appear. 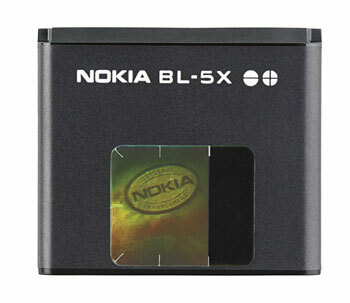 A new battery applied in this model (BL-5X) may be seen under the cover. The capacity of this Li-Ion battery forms only 600 mAh, which looks too short. According to the manufacturer the device may work for about 190 hours in the standby mode and from 1.5 to 3 hours in the talk one. But really the indexes are much worse. In average it works for a day in case of an hour of talks, and we faced fast battery discharge during the talk and phone turned off. 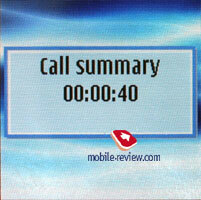 With 30 minutes of talks the device lives till the next morning and turns off at the first call (two charge points). You shouldn't trust the battery indicator, no charge saving functions are provided (it's better to turn off the screen saver, sound improvement during the talk and use no Bluetooth). The conclusion is the device may be used not more than for a day, two days are possible only with little short conversations, no use of other functions. The manufacturers probably staked on the device will be placed into a desk charger included into the package during the working day. Full recharging takes a bit more than an hour. 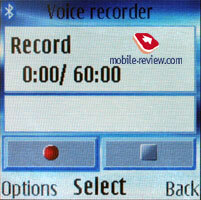 Most probably users should apply car speakerphone while driving. No extra capacity battery is foreseen. The regular change of the battery is caused with the company's wish to protect the model from counterfeit soften for the last time. 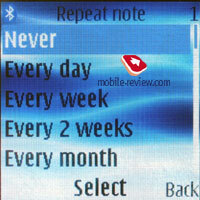 And really low-quality battery may cause many troubles. Another question is the company unconsciously stimulates manufacturing extra capacity batteries by third party companies, they will be widely offered for the Nokia 8800. The charger connector is standard and placed on the bottom. Also there is a minjack headset connector. 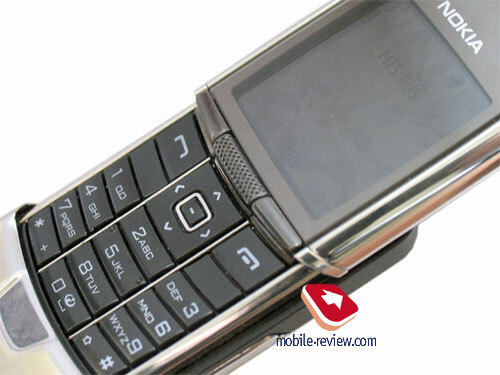 Similarly to the previous Premium segment models and unlike the very Nokia 6230i, with Pop-Port and stereo sound provided, the output is mono. 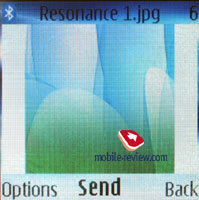 For Nokia 8800 users monosound means corresponding radio, mp3 sounding (though the last application is restricted with memory capacity much, but not the sound quality). The HS-15 headset is included into the kit. 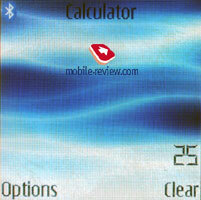 It is equipped with a call answer button and one earphone. That's practically impossible to find a headset with a button and two earphones. Thus, to use radio you'll either have to use a standard headset (which is uninteresting) or standard earphones, which is uncomfortable. 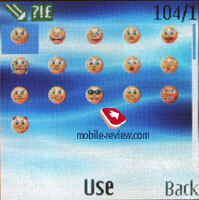 Why nobody notices this phone peculiarity is unclear to me, another raisin follows this functional drawback. The manufacturers decided on adding stereo sound transmission via Bluetooth, which ideally means having turned the headset on you can immediately enjoy good sound with no extra settings necessary. 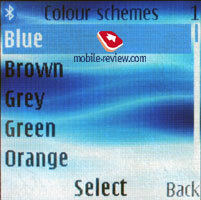 By the way, Bluetooth is 1.2 with no peculiarities, except for the stereo sound. But the function realization is dubious. Now domestic stereo sound headsets via the air are absent (really, the HS-12W has stereo sound from the integrated radio). Tests with third party headsets showed stereo sound while playing mp3 is followed with noises (strange enough, but that is so). Now, the most funny (or sad) a wire headset is necessary for radio work, since it serves as an antenna. Switching the sound from it to an external Bluetooth-headset is impossible, though a corresponding possibility is foreseen for any sound file. Thus a Nokia 8800 user probably won't manage to get stereo sound when listening to the radio, he'll have to buy the HS-12W, good the headset is pleasant though is not perfect yet. On the other hand radio for such a phone users is probably not so principal being only an extra function. 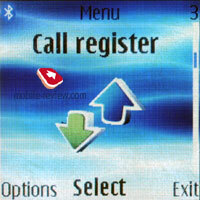 Traditionally for the company Bluetooth is not ideally realized. 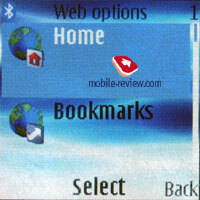 There are no such serious problems as the Nokia 6230 has, but connecting to many other devices brings some problems (sometimes the phone sees the devices, sometimes not, and reverse situations are possible). 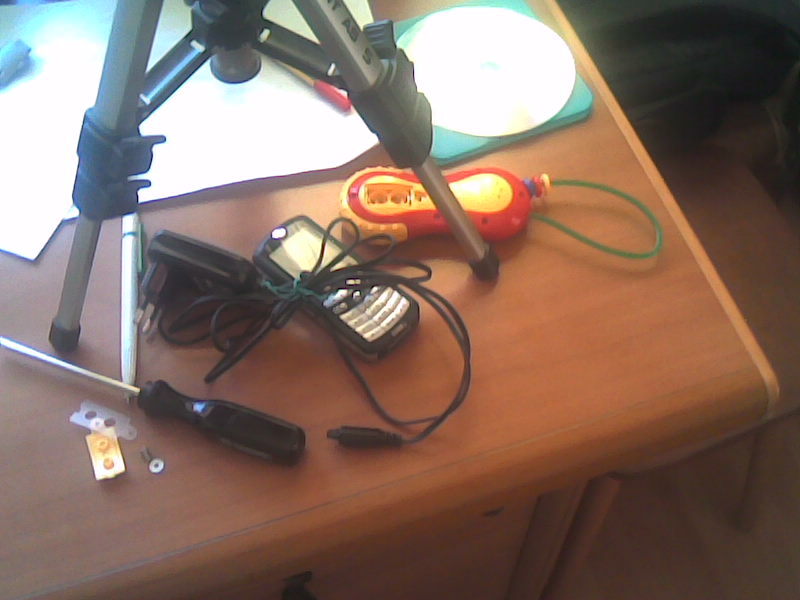 The phone quite firs working with a headset, but picture and other data transmission sometimes is not easy, you often can't do that. It gets funny sometimes - you couple the devices, everything seems smooth. 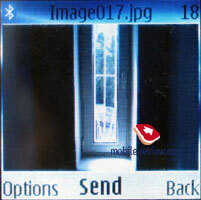 Then try to send an image to another phone, but the device tells it can't find where to send the file. So, the variations of this problem are often. 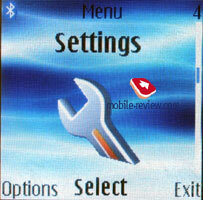 The phone supports the SIM Access profile, which allows using it with a car speakerphone kit with no little problems. A sound synthesizer should be mentioned when speaking about the technical realization of the device. The phone provides 64-tones polyphony; the melodies sound loudly and rather good. 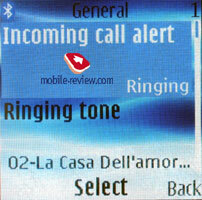 Subjectively the signal is even better than in the Nokia 6230i. 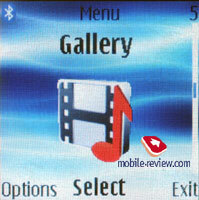 Popular formats supported are mp3/AAC. 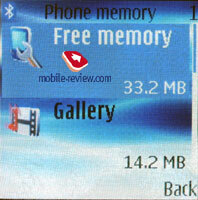 ROM forms 47.5 MB; memory is dynamically shared between all the applications. 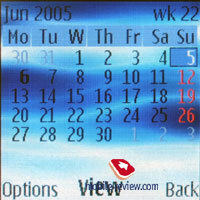 Special memory separated from the dynamical one is provided for organizer, phone book, Java applications. So, that is about 2.5 MB for Java, if not counting the preinstalled applications. An application is limited by 100 KB. 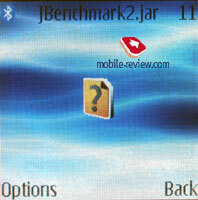 JBenchmark was used to measure the productivity (for MIDP 1.0, 2.0 and a 3D package). Compared with the Nokia 6230i the phone looses a bit. In its turn the Nokia 6230i gave way to the previous model slightly. Software improvement and the appearance of new functions lead to insignificant productivity fall. 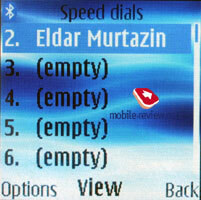 Generally, the phone operating speed in on the level, and no user will suffer from it. Some of you may notice slight delay when leaving the menu, the response may take about 1 second (pressing the right soft-key), but his effect is mechanical - the button is not pressed till the end sometimes, it is rather tough. That is a strange effect, on the one hand you have pressed the button, but on the other hand the device can't determine the pressure. Thus, you have to press again. 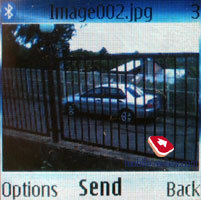 The phone evidently lacks productivity when recording video; you may observe splay images while moving fast in a car, one of the examples shows the fence became inclined despite the camera position and viewing angle were ok. See the Camera part to get some information about the problem. 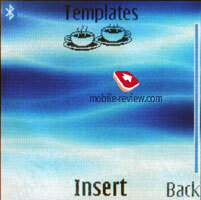 Both devices are built on the platform 40 version 2 but provide different functionality, differ greatly. If such comparisons appeared on the net, we'll give a complete list of differences to inform our readers and avoid wrong estimate. 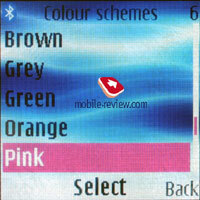 Colour depth in the Nokia 8800 - 18 bit (262000 K), against 16 bit for the Nokia 6230i (65000 K). This partly explains the productivity fall. 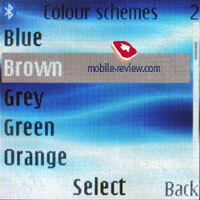 Bluetooth 1.2 with stereo sound transmission in the Nokia 8800. All the profiles for both models are equal as well as their possibilities. 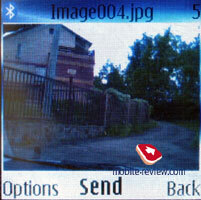 IrDA, synchronization via USB-cable for the Nokia 6230i. Principally, creating a cable fort the Nokia 8800 is possible, there is an interface connector under the battery (remember the Nokia 3310 cables). The other point is a cable won't be demanded for this model much, no sense in making them. 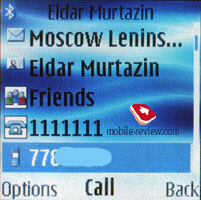 A new call log ideology is applied - the same numbers are not kept and the old entry is placed up. 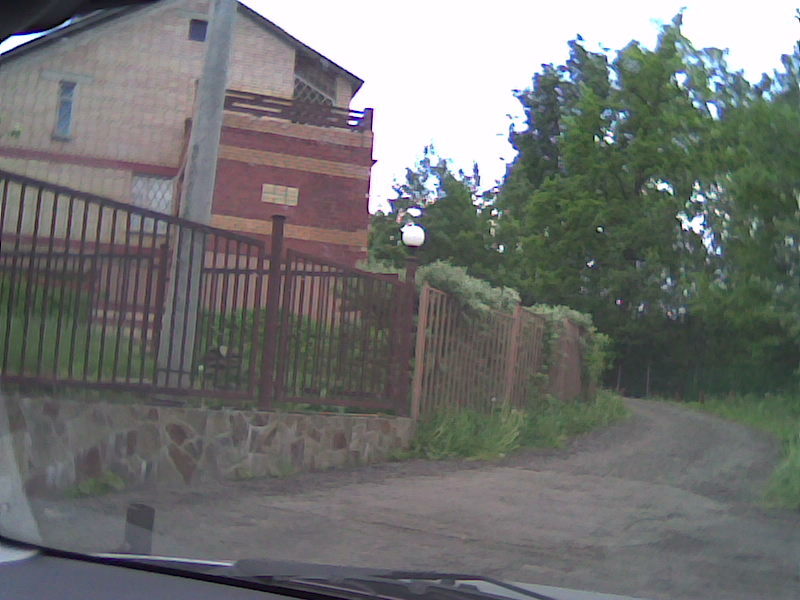 That is for instance, you have a call on the 5 of June to the number 008800, the recurring call to the same number will be written into the list, but the previous entry will disappear. 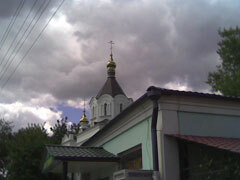 Entries of the 5 of June before this call and after it will remain. That is a dubious attempt to make the list renewable. Not everybody will like this innovation. There are many differences and the changes are dubious. 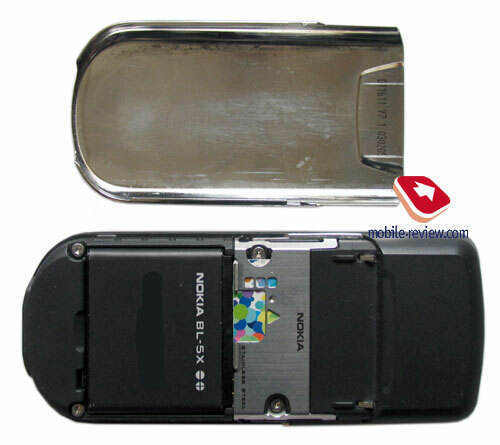 But considering the fashion component of the Nokia 8800, we can bravely forget all the differences, since the device is interesting for absolutely other characteristics, namely the design, material, price and the brand name. So, having described the differences we can pass to the main functions with a peaceful conscience. 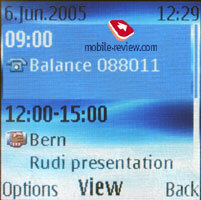 A typical 40th platform version 2 with all the program changes characteristic for the last models is used in this phone. 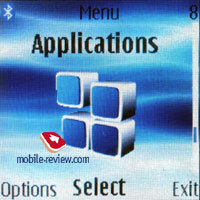 A list of the most frequently used functions that may be formed by your wish is assigned to the left softkey. 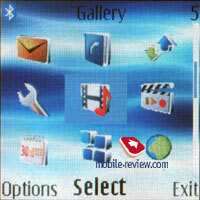 The right softkey has only one assignable function and that is accessing a Gallery by default. 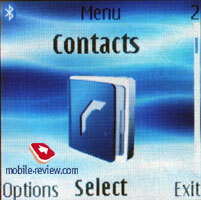 Pressing the navi pad calls the menu with rows of icons in the main one. 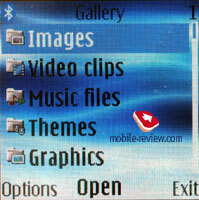 Up to 9 icons are displayed on the screen at once and if there are more of them (for instance, SIM-menu) you can use a scroll bar and scroll the screen down. 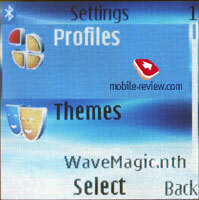 The second menu type is classical with an icon of the selected menu and it name. Submenus are vertical lists. 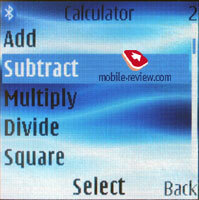 Fast navigation using number sequences works in all the menus. 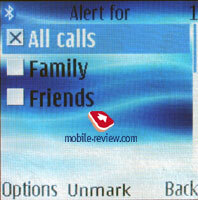 All the icons are similar to those ones, we saw in the Nokia 6230i. 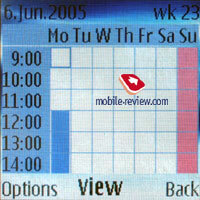 The navi pad deviations to various directions also call this or that function making using the device easier. 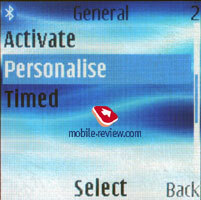 You can select the functions assigned by your wish. 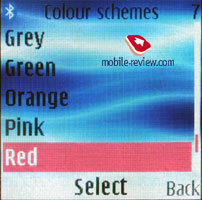 Similarly to the Nokia 6230i a user can change font-colour in the standby mode and select almost any combinations. That allows taking a picture of almost any colour. The second improvement is that photos assigned to the names are shown in a frame distinguishing them from the background and making the perception better. 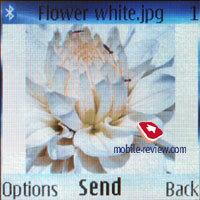 Dialing a number you see a white background but no picture, which prevents any problems concerned with number readability against a background of bright or dark pictures used as wallpapers. 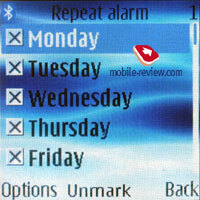 There are plenty of small improvements that make it easier dealing with the phone. At the same time some rudiments concerning illogically designed menus and assigning functions to the soft-keys are still present. 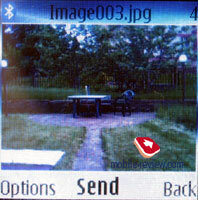 For instance, pressing the central button in the camera mode you take a photo and repeating the pressure you send the photo via MMS. 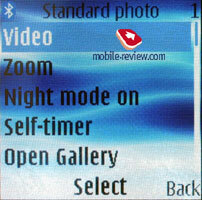 That is inconvenient for those who got used to taking several photos at once, since the button for returning to the shooting mode is placed to the right. 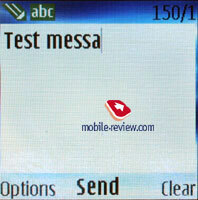 This way the company tries to increase the popularity of the MMS service, which is important for operators, and decreases the comfort of using the phone for normal customers. 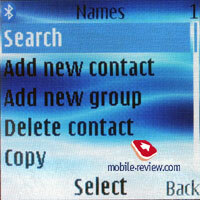 There are no preset user groups in the phone and thus you'll have to create them yourself. A great advantage is the whole number of groups may run up to 25. 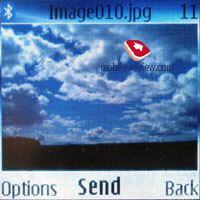 You can assign a call melody and choose an image for a group. 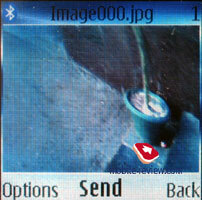 The picture assigned to a contact has more priority and is displayed instead of the image of the group. 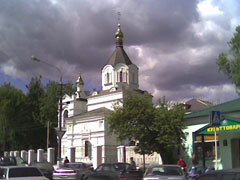 One user can refer to several groups. You can have a personal melody for a name if assigning this name to a group containing only one subscriber. Finally, user groups have been organized well. An extra surprise is hidden in the general name list. 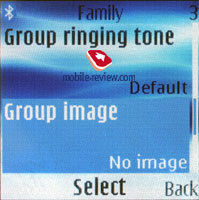 Here, groups are displayed the same way as usual but names are indicated with a special sign. A general search by name works for groups also. This representation would seem uncustomary for the first time and then you'll realize the whole comfort, since you don't need to enter a separate menu item responsible for groups (moreover, it is accessible only from the main menu and using the soft-key you get only a list with no access to the settings). 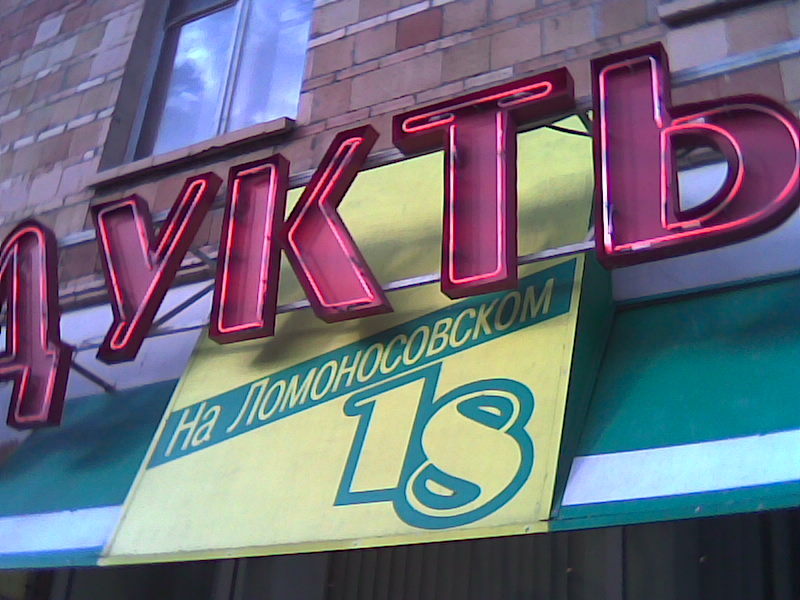 The increase of the filed numbers in the phone book leads to the impossibility of filling all the fields for a contact (if speaking about the extra fields), and one field is always excessive. 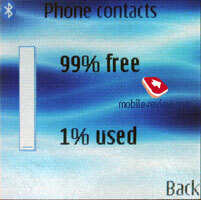 In reality, the device signifies an exceeded field number for some data. Having created the sixth number of five possible you'll get a warning only after filling the data in. 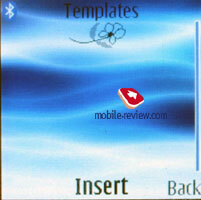 Then the device will offer entering the name and will set the name of the contact you have created for the entry. 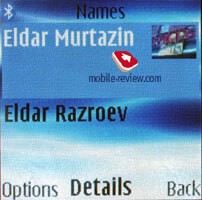 You can add a number or some explanation to the name and thus make a new contact. An attempt to save the same name will lead to the endless loop, the device will tell the allowable number of the entries is reached and will offer saving it under a new name. Everything is quite logical and the only pity is that the fields are checked only after the entrance and not before. Rating the convenience of the phone book, I'd say that it is average. On one hand we have a lot of information fields, and on the other input realization is mostly suited for PC, and not the phone itself. I'd like to point out that the phone book on the whole is typical for any Nokia phone and it does not have an major change or improvements. The richest functions are presented only in Siemens business phones, Sony Ericsson comes next and Nokia takes the 3 rd place this time. But in general the functionality is high. Messages. 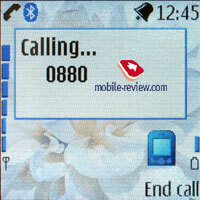 Predictive text input T9 is used in the 8800 as well as in the Nokia 6230i, as different to other devices an entry system was renewed and now it is possible to guess the words being entered similarly to the Motorola's iTAP input. The function looks interesting on paper and really the device has no possibility to remember the new words automatically opposite to Motorola, even English vocabulary is so poor that no guessing and automatic filling happens and thus the device remained the same considering the input system. 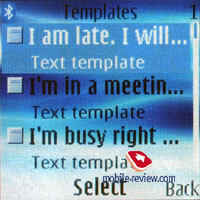 When entering text in any menu you can switch languages similarly to smart phones by Nokia. 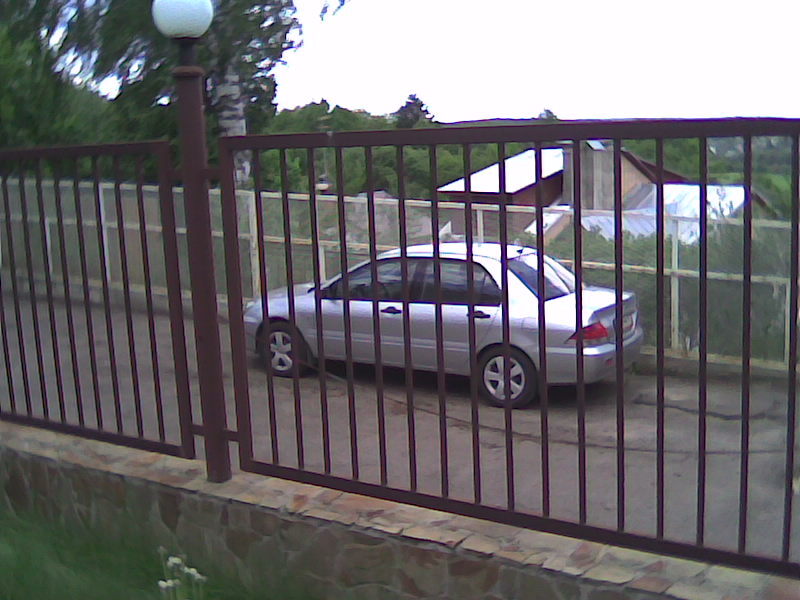 The function is very comfortable and pleasant. 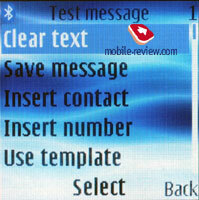 The phone supports Nokia Smart Messaging standard, this allows sending and receiving ring tones and simple black and white pictures from compatible phones. 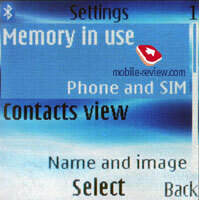 Besides Nokia phones this standard is also supported by Samsung, LG and some of the new Motorola phones. 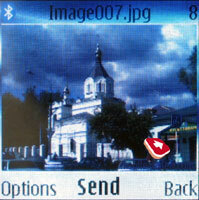 Especially for such messages 10 graphical templates can be spotted in the phone's memory. Unfortunately, the company's style is limiting the users, since alternative standard - EMS, which is more spread today and allows sending not only melodies and pictures, but formatting text as well is not present. 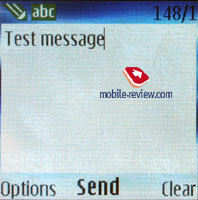 The rest of the message characteristics are standard - up to 150 messages in general, emotion icons (converting from the text in the received messages) and concatenated messages. 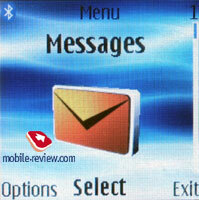 There are message counters in order to see the number of sent, received messages any moment, or clear the lists. 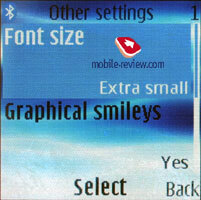 Another innovation is a possibility to switch off text smile transformation into corresponding icons; this function is set automatically from the settings menu. 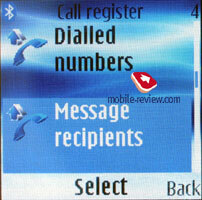 Also there is a complete list of all the lists you sent to or received messages from (a copy of a call log). When deleting a message you do not delete it from the list, which allows calling it fast, which is the main advantage of the function. 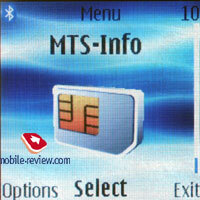 The company believes that MMS can be considered a full replacement for EMS. Well, it is true actually since this technology became popular rapidly, and with its help you can create interesting messages which include pictures, photos, and ring tones and so on. 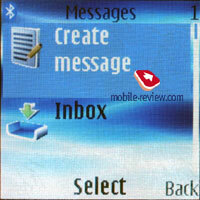 Each message can be up to 300 KB. 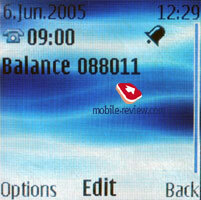 The MMS functions are good and no problems were noticed. 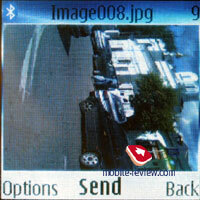 Photos taken with the integrated camera are scaled down in order to send in a message. If the size doesn't exceed these 30 KB and can drive he can be sent in a message. 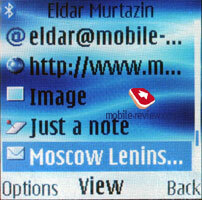 The phone has a built-in e-mail client that can work with POP3/SMTP/IMAP4 protocols. 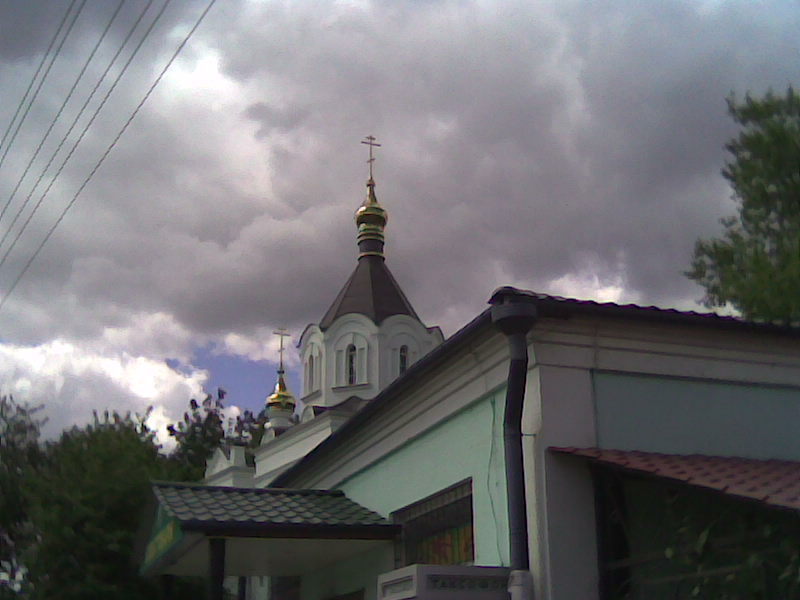 The possibilities of the client are incredibly poor, attachments are not supported except for JPEG files (also scale images to fit the restrictions) and the device understands only one Russian coding C1251. Any KOI8 or recoded message won't be readable. A strict limitation of the sent file forming 195x156 pixels looks weird. 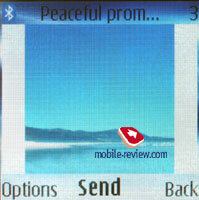 Even VGA photos can't be sent. The mail client can't download only the heading and thus gets the whole message. Considering that only 60 messages may be stored, we can suppose the presence of the mail client is not as significant for business users. The fact the company started working on the mail client improvement but still MMS looks more preferable at this stage though having its restrictions. 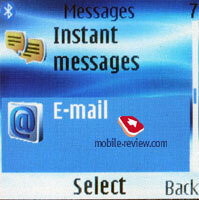 Unfortunately, a normal mail client is still not realized for the S40 platform and we are unlikely to see a fully functional one due to the migration to the Symbian-devices from this platform. Call lists. There are three lists in the phone. 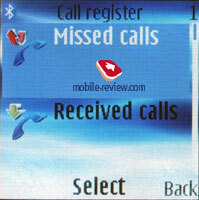 Every list may contain up to 20 entries, and conveniently the date and time of the call are displayed in the list. 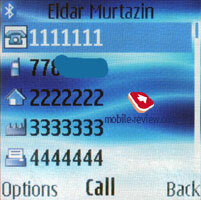 Pressing the Call button in the standby mode brings up the list of the last dialed numbers. That is inconvenient sometimes and the majority of the rivals have either a joined list or fast transfer from one list to another. Here you need to remember where the necessary number is, in which list and then choose which is not comfortable. A new call log ideology is applied. 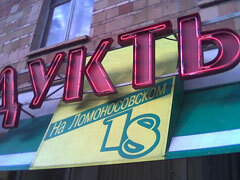 The same numbers are not kept and the old entry is placed up. That is for instance, you have a call on the 5 of June to the number 008800, the recurring call to the same number will be written into the list, but the previous entry will disappear. 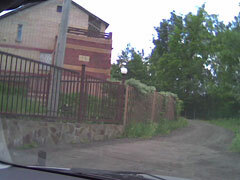 Entries of the 5 of June before this call and after it will remain. That is a dubious attempt to make the list renewable. Not everybody will like this innovation. 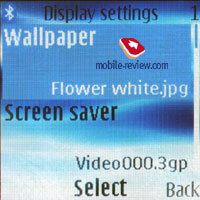 The screen settings allow choosing its color scheme, wallpaper and a screen saver. 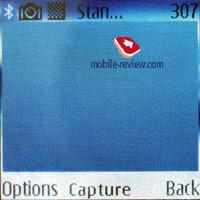 The screen saver is a picture that is displayed in the standby mode when the backlighting is not active. 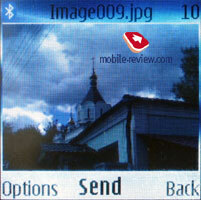 It is worth choosing one of the preset pictures, they are seen better in this mode than loaded full color images. 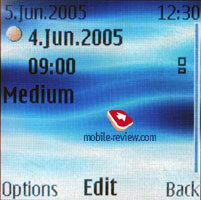 You can set the time interval for the screen saver and then it will be replaced with standard digital clock. 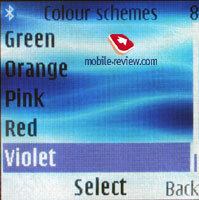 For the first time, here you can choose the font-color for the standby mode. 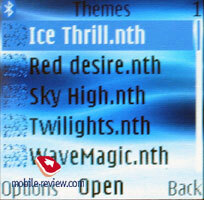 In principal, these options were joined under the name of Themes and this is the first model to have such a centralized theme changing option. An Audio enhancing function belongs to unusual features. There is some kind of an equalizer to fit the external noise conditions and thus improving speech during the conversation. 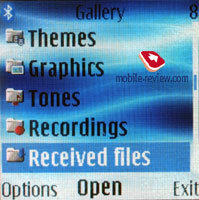 The icon when working appears to the left and is clearly seen. It's hard to understand how much the speech is improved, but the function seems to work if it was added and didn't stress its presence in any way. I'd remind that Samsung is promoting a similar item, called Voice Clarity. 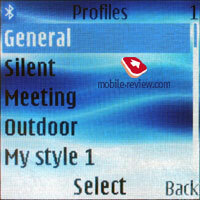 Traditionally, up to 9 tags are kept for voice commands, choosing only from preset items and sub items. 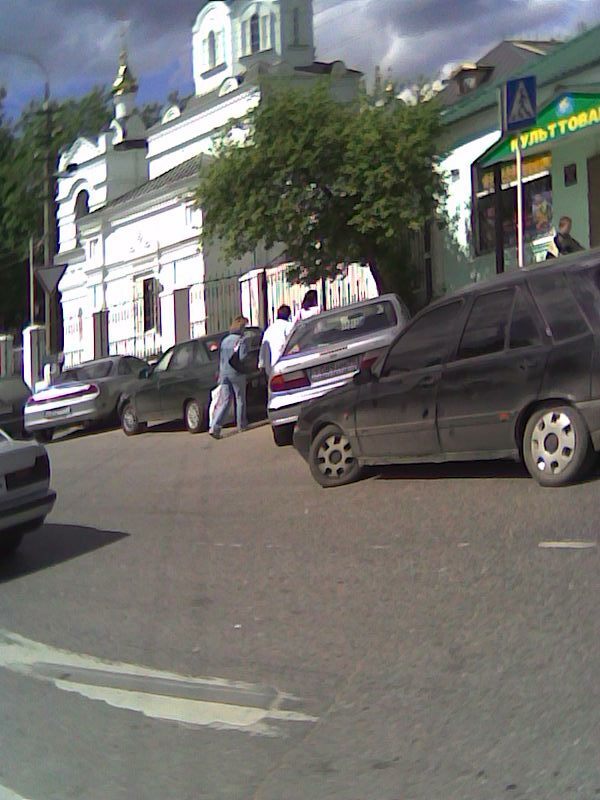 Recognition works well and there were no problems even in a noisy street. 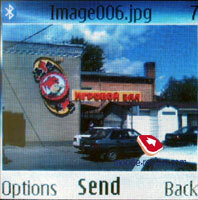 A new menu item Received files, all the files received via Bluetooth get here. 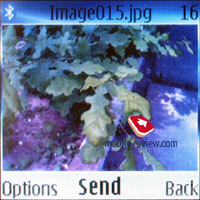 But in this software version files strangely get into the root Gallery folder, but not into this one. Media. All the settings concerned with the multimedia possibilities of the phone are kept here. Let us start with the Camera. 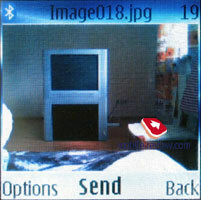 The integrated camera allows you to take pictures with the resolution of 800x600, 120x144 (that is a portrait mode, the resolution increased from 80x96 pixels in the previous models). 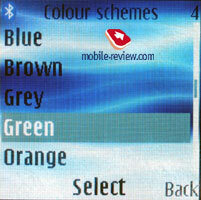 The picture quality on the screen is mediocre, they lack brightness and colour richness. 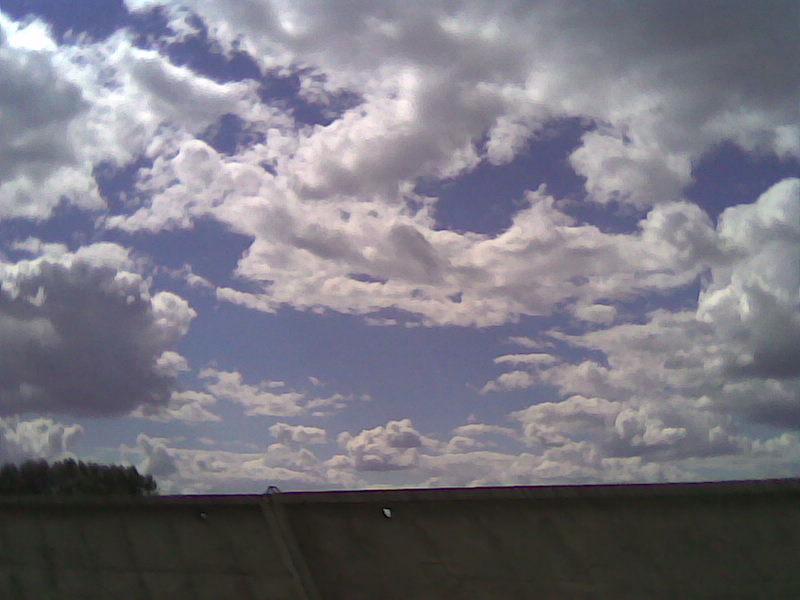 After you send the pictures to the PC, they look better although you can still wish for the best. 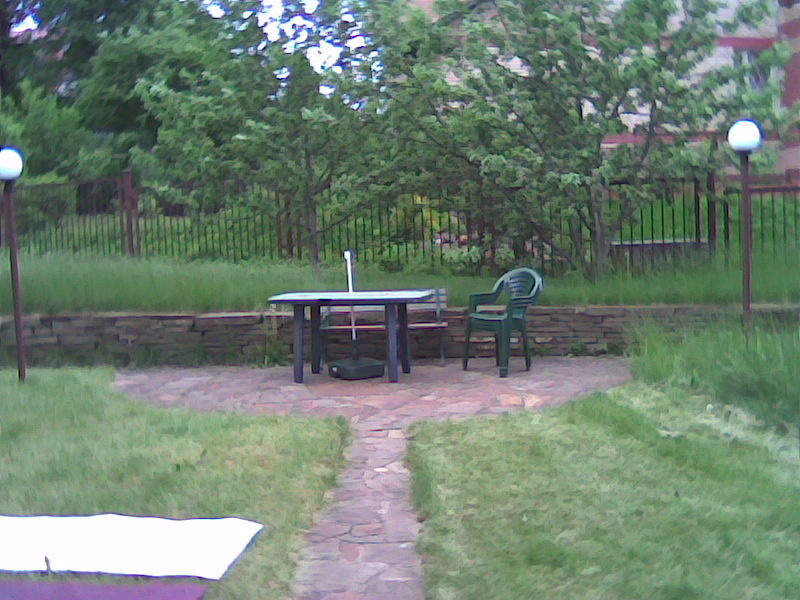 That is an improved VGA-camera evidently inferior to megapixel products, though some photos are quite successful. Camera settings are ascetic. There is a night mode, three types of file quality and compression. 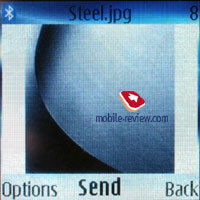 The files are stored as JPEG. 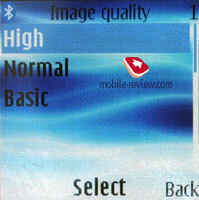 In general the camera should be treated as a small but not main addition. The device can't boast with photographic quality. 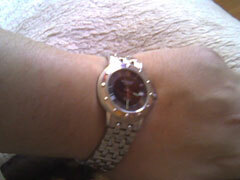 Some delay is observed while taking photos, and if you move your hand the picture will get blurry. 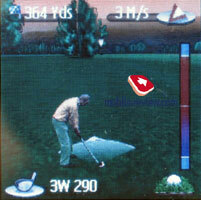 At the sharp motion the image can not only blur but objects can change shapes. Zoom working sample (digital up to 4x here) - – original photo, x2 zoom, x4 zoom. 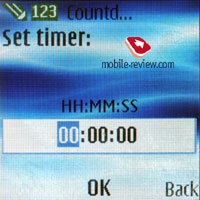 The device records QCIF video, two quality settings are available and a time limit to record for one hour. Sounds may be turned off. Joystick horizontal deviations are responsible for switching from video to photo mode. 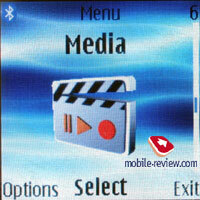 Media player – media file player, pretty simplified. This means that you are opening the file and get the chance to listen to it either via the headphones or speaker. There is no play list support, equalizer settings were moved to a separate item and they are referred to all music applications. The media player does not show full headers of mp3 files, this is a disadvantage. 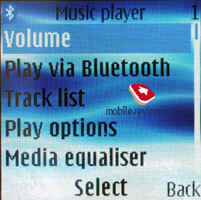 Music Player – this application is capable of playing music, it supports play lists, although it is better to format them on your PC. 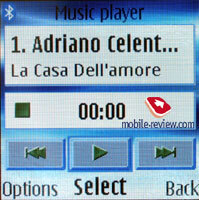 The mp3 headers are supported, but you have to make sure that the files are located in the Music folder otherwise the player will not play them. 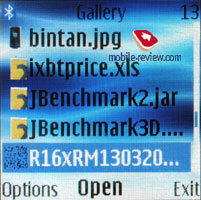 The player supports mp3 files with various bit rates including high ones. 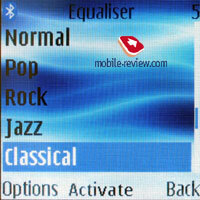 The playback quality is incredibly high; there are no distortions, even if you are listening through the speaker. The Speaker's quality deserves being pointed out. It can reproduce the mp3 files nicely; meanwhile the polyphonic ring tones are not so interesting. 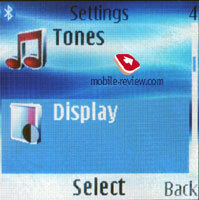 The quality of the mp3 player is not as bad for phones though it can't be compared with real mp3 players. Especially the need to use original earphones upsets, sometimes they can't provide with a corresponding sound quality though it is unimportant for pop music and radio. A great plus of the player is that it can work in the background, you can leave the menu but the chosen track list will keep on playing. 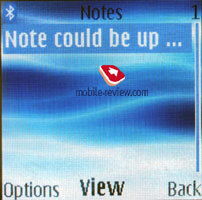 You'll see a line with the name of the current composition in the standby mode. 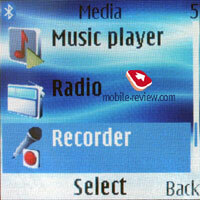 Using other functions concerned with sound will temporarily turn off the playback and then will start from the end point. The absence of a memory card prevents from using the model as an mp3 player. The player interface has undergone some changes, though they look nice; it is not centered and put higher characters on the buttons. Scrolling is possible only when in the player menu and all you need is to select right or left arrow and then hold OK. Scrolling is done with the interval of 5-6 seconds and no sounds disappear that moment. You can set 10, 20 or 30 seconds or selective interval in the settings. We had the 10 seconds interval set. Radio. The device allows keeping about 20 FM radio stations with assigned text names. 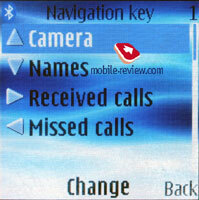 The function is similar to other phones by Nokia and pressing the button on the headset switches the stations. 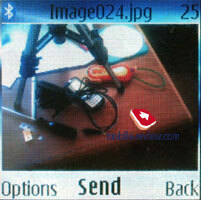 The radio can work in a speakerphone mode, but the headset is necessary, since it serves as an aerial. The radio signal can also serve as an alarm clock but still you need the headset plugged in. 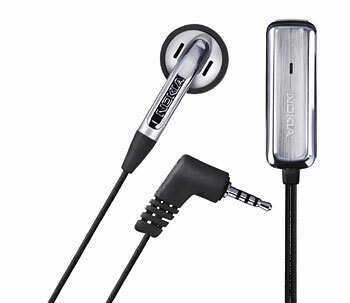 Subjectively, the radio is less qualitative than in the Nokai 6230i, though, that may another earphone acting as an antenna worse (a thinner wire) told upon. Automatic station tuning works worse, the most of the surely supported stations was not defined. 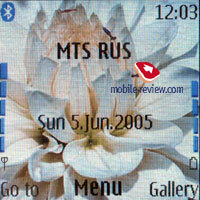 A new function, Visual Radio promoted by Nokia, is also supported. The sense in it is showing an image or even a creeping line with the information about the singer and so on. 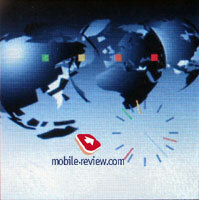 That is ideal for delivering advertisement and, what is more, intended for various audience. How well users will treat the idea is not quite clear and HP is showing some interest in the technology. 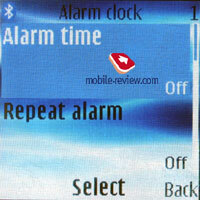 An alarm clock allows to set both once or a recurrent alarm with the selection of weekdays. Any melody or a radio station (just need to plug a headset in) can serve as the alarm. You can adjust the time period for the Snooze function to work. 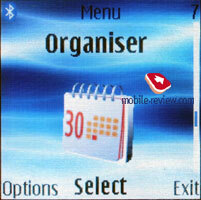 Also standard functions like calculator, countdown timer, and stopwatch with intermediate values are represented in the organizer menu. Applications. All the preset Java-applications are here, also standard functions as a calculator, countdown timer and stopwatch (with intermediate results). Also, a unit converter is preinstalled, a world time function and a multi-language dictionary. 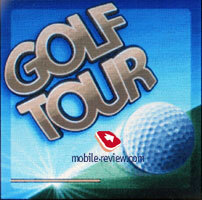 The games are - golf, rally, and backgammon. 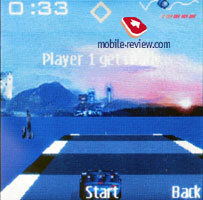 Games are designed specially for the model, which looks stylishly. But for instance, that is hard to understand the figures in chess at first; there is no switch to traditional view. 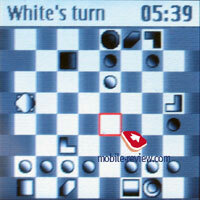 Playing chess is possible both via Bluetooth and SMS. WEB. 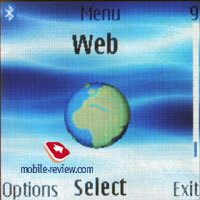 The browser of the 2.0 version allows viewing xHTML pages. 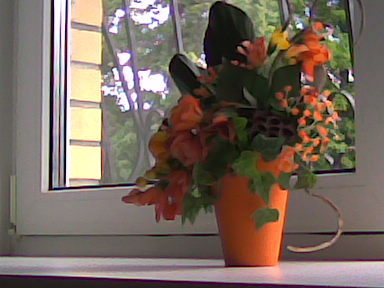 There is nothing special to say about it. Connectivity. 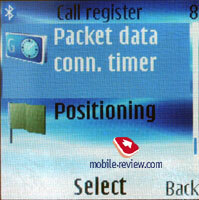 The device can be used a modem and batch communications are supported (GPRS class 10, EDGE class 10). 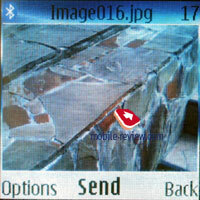 Connecting to a PC is made in any way you like - IrDA placed on the top, Bluetooth or using a cable. 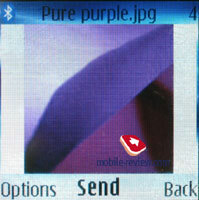 The disadvantage is the lack of any indication of the connection speed (the presence of the EDGE standard is dubious), they say in future a corresponding icon will appear. Synchronization with PC. 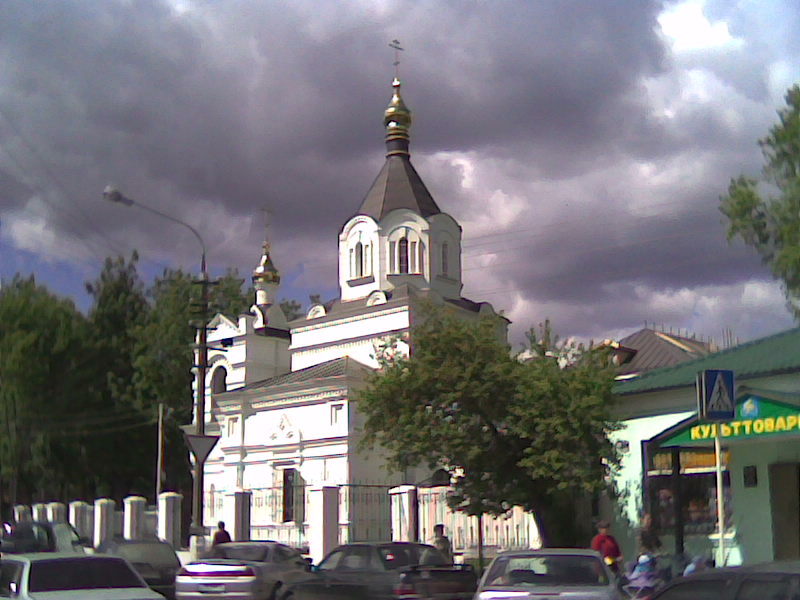 The Nokia PC Suite software is included into the kit. That is a complete software set helping not only in synchronization of the organizer and the phone book with MS Outlook, Lotus, but also download melodies, logos, wall-papers, games to the phone. 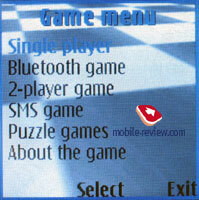 Downloading games is possible only from this program or via WAP. Sending games via Bluetooth is impossible. 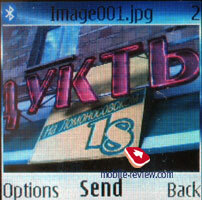 The work of the synchronization program is traditional, Russian words are shown correctly both on the phone and the PC after the synchronization. 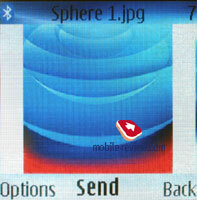 Also synchronization of device-to-device data appeared in the phone. 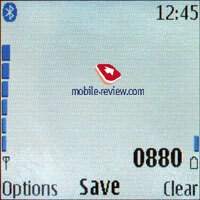 The function works with any phone by Nokia supporting Java and Bluetooth. 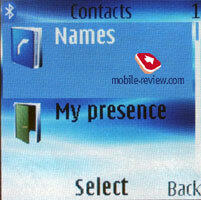 That is quite easy to transfer your personal data to the Nokia 8800. 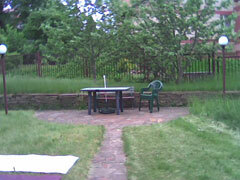 Speech quality is sometimes not ideal; the loudspeaker gives some slight huskiness in addition to a specially created "white noise". The last one means slight hissing indicating a conversation is held. In its absence an impression your interlocutor disappeared and the conversation is interrupted appears. The vibra is not bag though is not extremely high. It is perfectly felt from the shirt or trousers package. 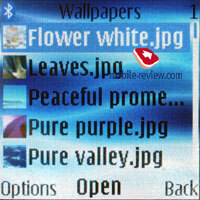 The main advantage of the phone is its design. There are no copies on the market now. Considering the price of 850-900 Euro, the device may be named as one of the most expensive on the market (not taking into account the Vertu series). 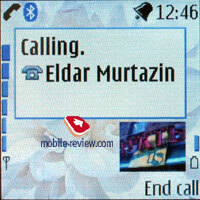 There are no rivals, neither Samsung (no metal in sliders, the image oriented on the general public mainly) products nor Motorola's solutions (RAZR, PEBL are interesting but also oriented on the general public). 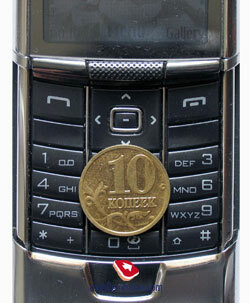 The Nokia 8800 is ideal to demonstrate personal status, since the principle "the more expensive - the better and more prestigious" is still present on many markets. Reasoning from this, no disadvantages in the software or functionality may be mentioned, the very radio is not interesting to the target group. 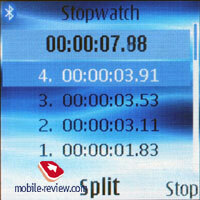 The Nokia 8800 will have no direct rivals in the course of a year; Motorola will launch a similar product only in the end of the 2Q next year. Considering Nokia has already prepared a renewed version of the device, the product by Motorola has some perspectives in the 600-700 Euro segment. 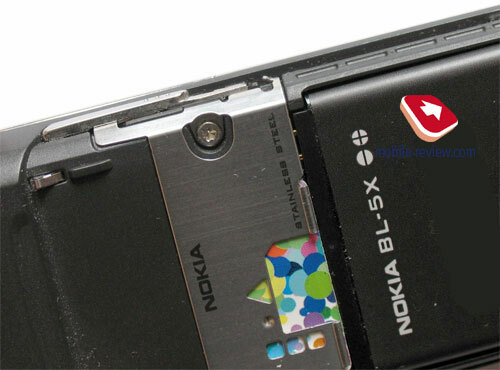 The Nokia 8800i (let's consider all written below a malicious supposition only) will distinguish from the original device in the colour solution (lacquer in a Dart Wader style or, precisely, his mask, very pleasant and unordinary), a 1.23 MP camera, stereo output and the presence of a memory card (microSD most likely, though that is a question to discuss). 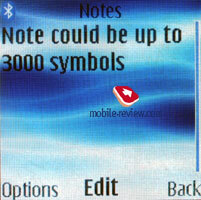 The battery capacity will increase slightly, which will keep the same battery life approximately. All the other characteristics will be principally comparable (if not considering the presence of Wireless USB Storage principal). 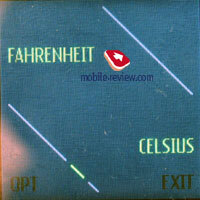 This product may be expected a year after the Nokia 8800 sales started. Another question is this announcement will greatly depend on similar models by other manufacturers. The start of the Nokia 8800 sales is planned for the end of June, and the price will form about 900 Euro for the first time. Later it will fix on 750-800 Euro for long. The SAR value for the model forms 0.5 W/kg.